Like clockwork and as widely expected, at its own pre-MWC 2015 event today, Samsung has announced its latest GALAXY S smartphone. No, scratch that. 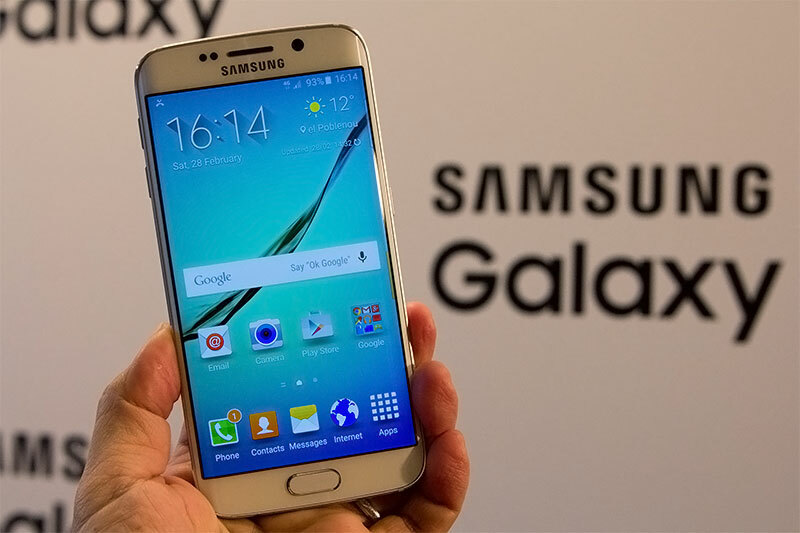 It should be smartphones, because there are two, namely the GALAXY S6 and GALAXY S6 Edge. What? Like the GALAXY Note 4 and Note Edge? In terms of naming convention, yes; though obviously, the S series continues to be positioned differently from the Note series, positions that influence the feature set that we get on each of them. Like how the Note Edge was the darling when it was announced at IFA last year, I expect most eyes to be on the S6 Edge than the regular S6 till Mobile World Congress is over at least, simply because it’s the more eye-catching of the two. But like how the regular Note 4 outsells the Note Edge, I’m inclined to believe that the S6 is the more important model to Samsung, especially when you consider the backdrop of the less-than-desired S5 sales. In that case, why is Samsung making the S6 Edge? Perhaps the Korean company is encouraged by the sales of the Note Edge, and feels that there’s money on the table. Or maybe, simply because it can. 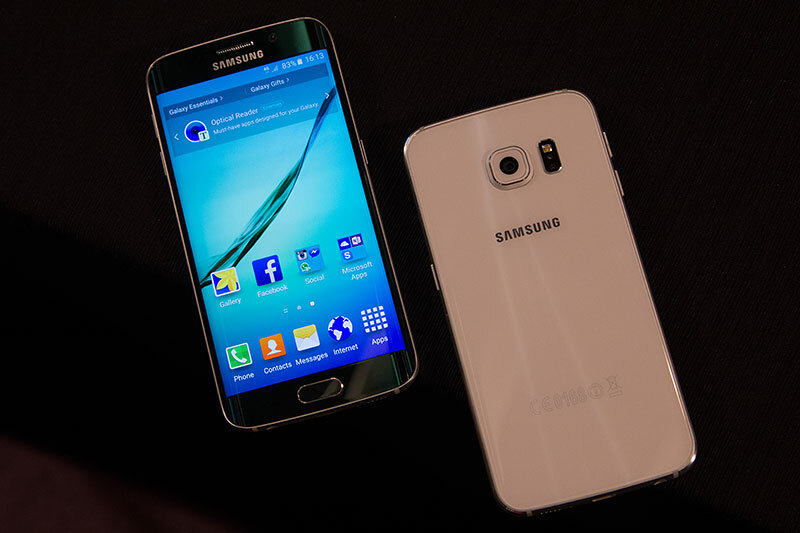 Let me start off with the GALAXY S6 first, since this should be the more popular model of the two at the marketplace. For a while now, Samsung has promised big design changes for its GALAXY smartphones. We saw hints of that in the GALAXY Alpha, Note 4, and Note Edge with their metal frames (the Notes also have a faux-leather back); and more recently, the GALAXY A series with their full-metal designs. Today, 'Project Zero' has reached its peak with the GALAXY S6, which comes with a metallic frame made of aerospace alloy and a glass back. Glass back? Like the Mi Note and several of Sony’s Xperia Z phones? Well, yes, but there’s also this 'color material finish' under the Gorilla Glass 4 that we haven’t quite seen applied on other phones, one which somehow takes on a different shade under different lighting. Is this the most premium-looking phone Samsung has built to date? I think so. Does it feel as premium as the HTC One (M9) that has a metal unibody? I think so too. The S6’s display still stands at 5.1 inches diagonally like the S5, but the resolution has gone up from Full HD to QHD (i.e., 2,560 x 1,440 pixels). Samsung already makes some of the best smartphone displays in the market, and the S6’s screen continues to be so, offering the vibrancy and color richness that are so distinctively Super AMOLED. I’ve better than 20/20 vision, and are often annoyed by pixel dots and jagged lines on my icons - but I saw no such nonsense during my hands-on time with the S6. Another big news is that Samsung isn’t using any of Qualcomm’s Snapdragon processors (more specifically, the Snapdragon 810) this time round. Instead, the S6 is using the in-house Exynos 7 Octa 7420, a 14nm SoC that has four Cortex-A57 running at 2.1GHz and four Cortex-A53 running at 1.5GHz, and a Mali-T760 GPU. This is paired with 3GB of LPDDR4 RAM, and either 32, 64, or 128GB of storage. 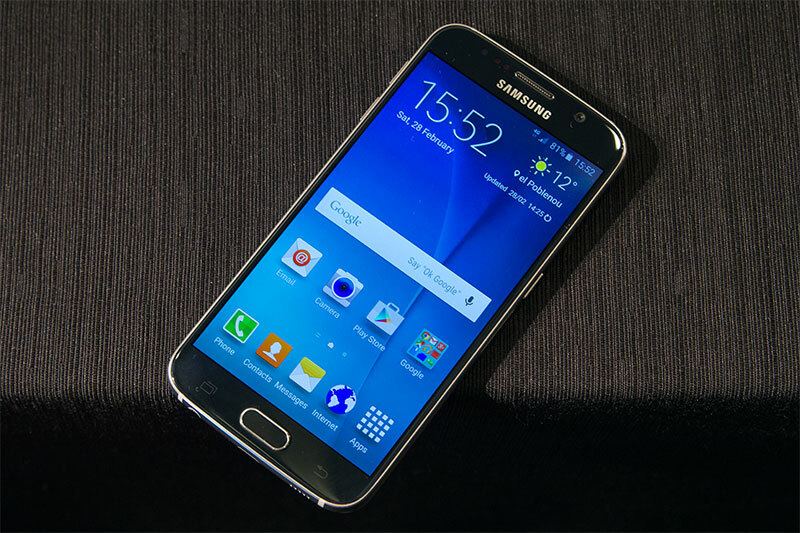 32GB is now the baseline for a good reason: the S6 doesn’t come with a microSD card slot. Micro-SIM support has also made way for nano-SIM. The phone supports LTE Cat 6 for up to 300Mbps downstream speeds. Expectedly, 802.11ac W-Fi, Bluetooth 4.1 (and LE), and NFC are all onboard, as well as a host of sensors, like an accelerometer, a light sensor, gyroscope, proximity sensor, compass, barometer, fingerprint sensor, cover-detecting hall sensor, and heart-rate monitor. Micro-USB 2.0 port sticks around for another day; but because the phone supports fast charging, it’s able to charge up the 2,550mAh battery from 0 to 100% capacity in 80 minutes. Or if you just want to use your phone for another four hours or ensure that it’s able to last a 2-hour HD video playback, a quick 10-minute charge should be sufficient. Unlike the S5, there’s no need to buy a separate charging cover to do wireless charging on the S6, since the functionality is now built into the phone. Both WPC and PMA standards are supported. Despite this, the S6 remains a very thin phone; and at 143.4 x 70.5 x 6.8mm, it’s thinner than the S5 (142 x 72.5 x 8.1mm). It’s also lighter (138 vs. 145g). Many people told me that they’ve switched from Android to iOS because of the iPhone 6 and 6 Plus’ cameras. 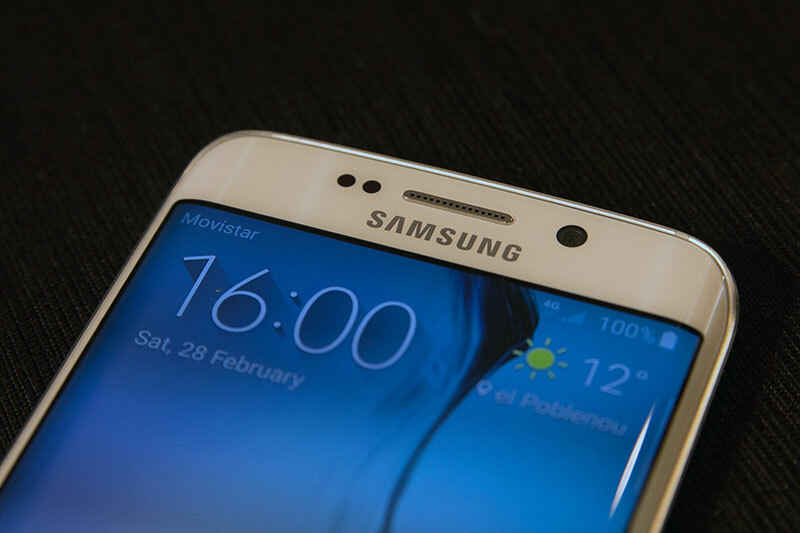 Among the various hardware improvements and software tweaks Samsung has done for the S6, a sizable amount has gone the way of improving mobile photography. Hardware-wise, the S6’s rear camera uses a 16-megapixel sensor, and has an F1.9 aperture and Smart OIS. Fans of selfies, wefies, and selfie sticks will also welcome the 5MP snapper at the front, and it too has an F1.9 aperture. Software-wise, there are many nice touches all around, like the ability to double-tap the Home button in any app to quickly (Samsung says 0.7 second) fire up the camera, and faster AF tracking of moving subjects. Like the Note 4, the chances of image blur during selfies are reduced as you can use the heart-rate monitor sensor to take the picture. Samsung has a habit of putting the latest version of Android on its latest devices, and it’s no different here. 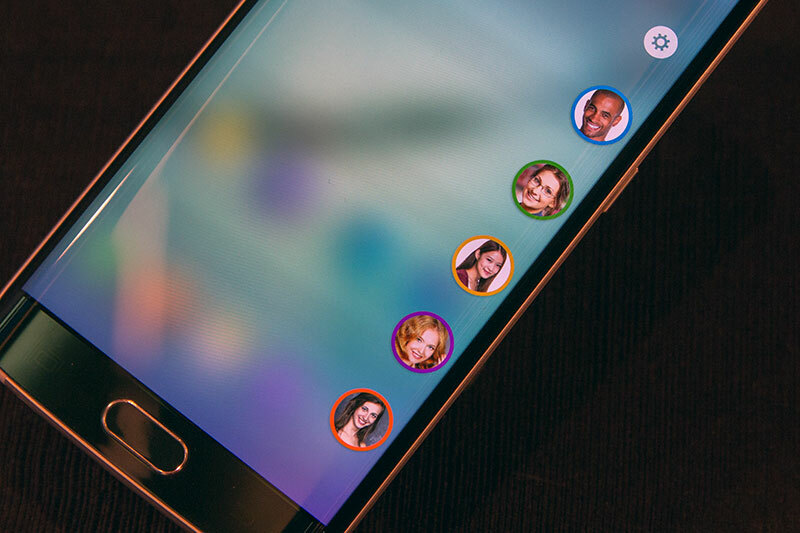 The S6 comes with Android 5.0.2 Lollipop with Samsung’s TouchWiz interface on top of it. But several apps that usually come preloaded on GALAXY devices are no longer there now, proof that earlier rumors about Samsung clearing out the bloatware is true. 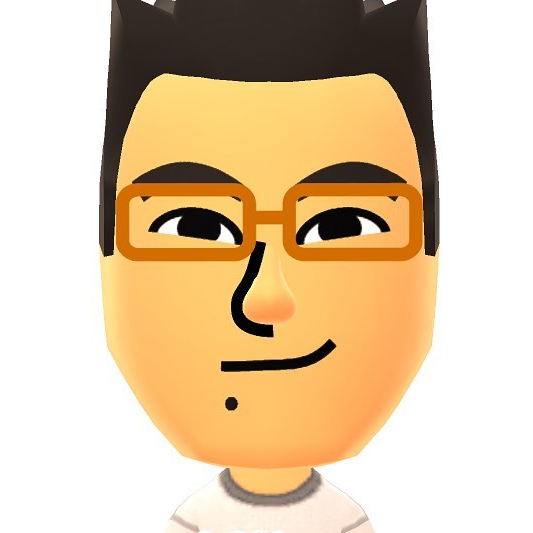 (If you want them, you can find them on the Samsung App Store.) Along with a conscious effort to clean up the UI (e.g., shortening the list of settings in menus) and do away with the superfluous, we’re left with an S6 that’s really responsive and free of micro stutters. Of course, Samsung didn’t take out everything. S Health, S Planner, and S Finder remain for obvious reasons; and we also found a Microsoft Apps folder that houses the OneDrive, OneNote, and Skype apps. 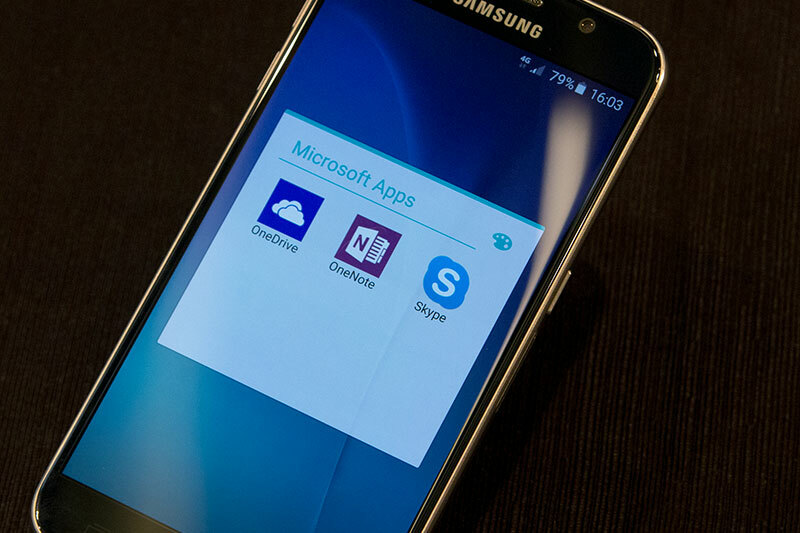 Speaking of Microsoft’s cloud storage service, the S6 comes with free 100GB of OneDrive storage for two years. 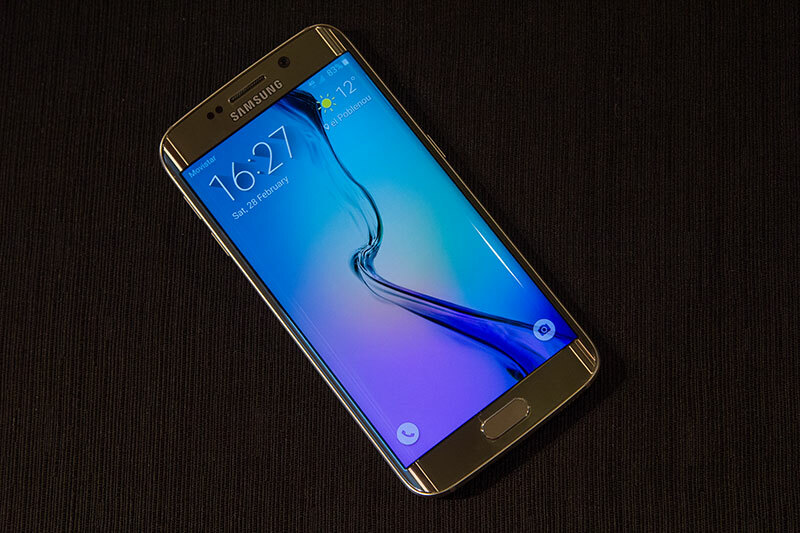 A super-fast chip, a premium build, better cameras, streamlined interface, less bloatware - with the GALAXY S6, Samsung has given what its fans have been clamoring for, and shut the mouths of many of its critics at the same time. Is returning to basics enough to bring about a resurgence for the GALAXY S series? We shall see. Not many people saw the GALAXY Note Edge coming, because few expected Samsung to really use one of its many flexible OLED display prototypes on an actual product. But not many (the tech press, at least) are surprised by the new GALAXY S6 edge, a 5.1-inch, curved OLED smartphone that’s heavily tipped (and leaked) for weeks and months now, and which is officially announced today alongside the GALAXY S6. With today’s unveiling, a trend is established. While competitors like Apple and Xiaomi differentiate models in the same series based on screen sizes and processors, Samsung’s current modus operandi is to differentiate through screen curvature. And if the Note Edge is of any proof, that may not be a bad thing. 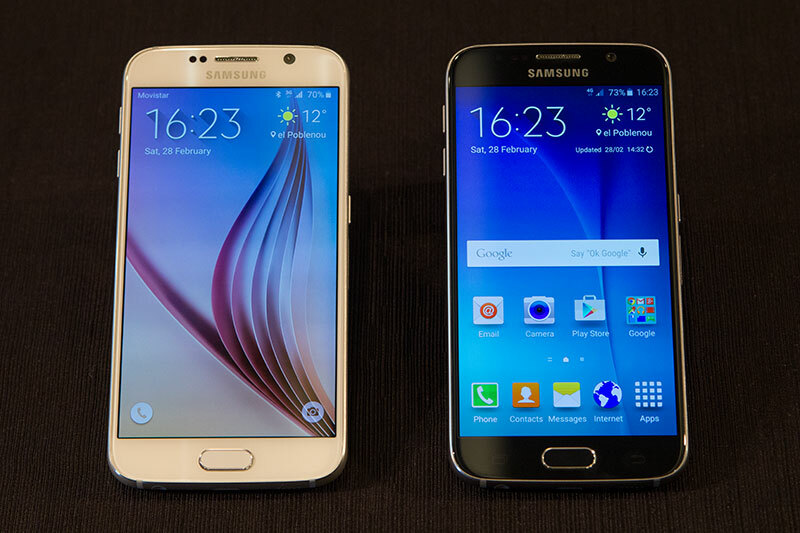 In short, like how the Note Edge is a variant of the Note 4, the S6 edge is a variant of the S6. You get the same metallic frame and Gorilla Glass 4 front and back, the same Exynos 7420 octa-core processor, the same amount of RAM, the same storage options, the same 16-megapixel rear camera and 5-megapixel front camera, the same high-powered speakers and bundled ergonomic earphones, the same streamlined UI, and the same plethora of sensors, including a touch-type fingerprint sensor on the Home button, which supports the Samsung Pay mobile payment system that's bound for the U.S. and South Korea in 3Q 2015. Protected by Samsung KNOX and advanced tokenization, Samsung Pay works with both NFC and MST (Magnetic Secure Transmission) technologies. But by virtue of its sloping screen and presumably higher sticker price, the S6 edge is the flagship model and poster child of the GALAXY S series. Heck, with an Exynos 7420 that’s supposedly faster than the Note 4 and Note Edge’s Snapdragon 805, it might well be the highest-end phone in Samsung’s entire smartphone lineup. So, let us talk about that curved glass that's molded at 800°C. 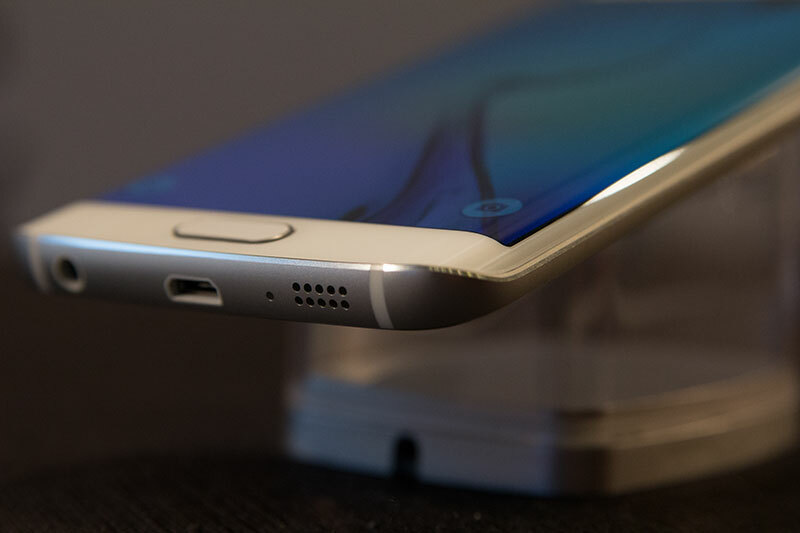 In a nutshell, if you dig the Note Edge, you’ll love the S6 edge. In our review of the Note Edge, we said that the screen curved off the edge like an infinity pool. It’s the same case on the S6 edge, just that it has two pools, one on each side. That's right, both the long sides of the screen are curved. So lefties, rejoice! You no longer have to stretch your thumb across the screen to reach the curved strip. Like the Note Edge, clever software is in place to make the strips truly useful. In addition to the Information Stream, which displays things like weather, time, and notifications, there's also People Edge, which lets you use either side of the strips to quickly access calls, text messages, email, and frequent contacts. And when you place the phone screen-down on the table, based on the color that peeps out from the side, you can still tell who's the one calling you. Don't want to answer the call? Just touch the heart-rate monitor for 1.5 seconds to hang up, and the phone will automatically send a message to the caller. 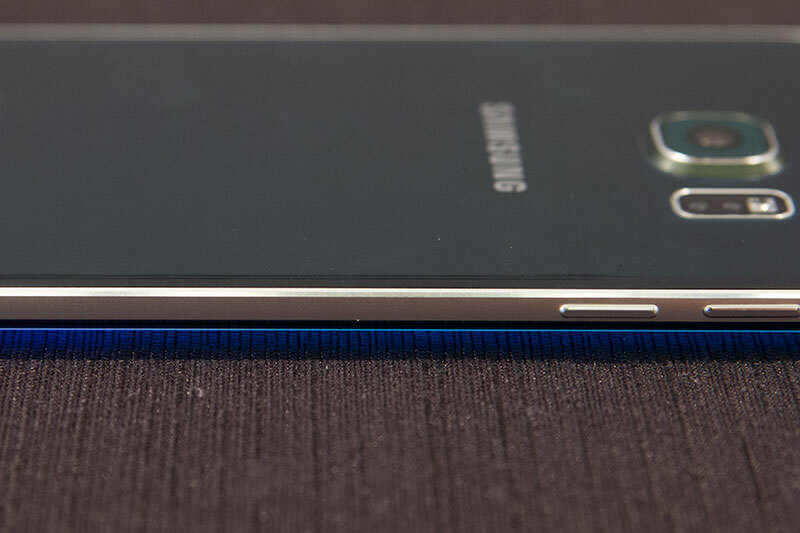 The Note Edge is a successful experiment, and that's why we've an S6 edge today. Gimmick or not, this is something that not every smartphone maker can do, and we applaud Samsung for that. Again, it'd only take off if developers create apps for edge screen, so until then, Samsung has to keep churning out new ways of using it itself. Unlike the Note Edge, which has a smaller battery than the Note 4, the S6 edge packs a slightly bigger battery than the regular S6 (2,600 vs. 2,550mAh). If their battery performances are comparable and the price gap isn't too much, I won't be surprised if the S6 Edge defies expectations and outsells the S6 instead. 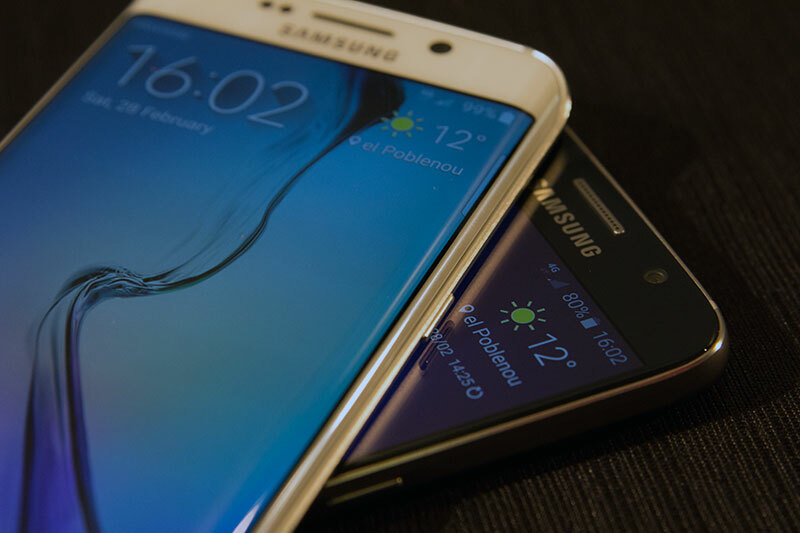 Global availability of the Samsung Galaxy S6 and S6 Edge is expected to start from April 10 in 20 countries. 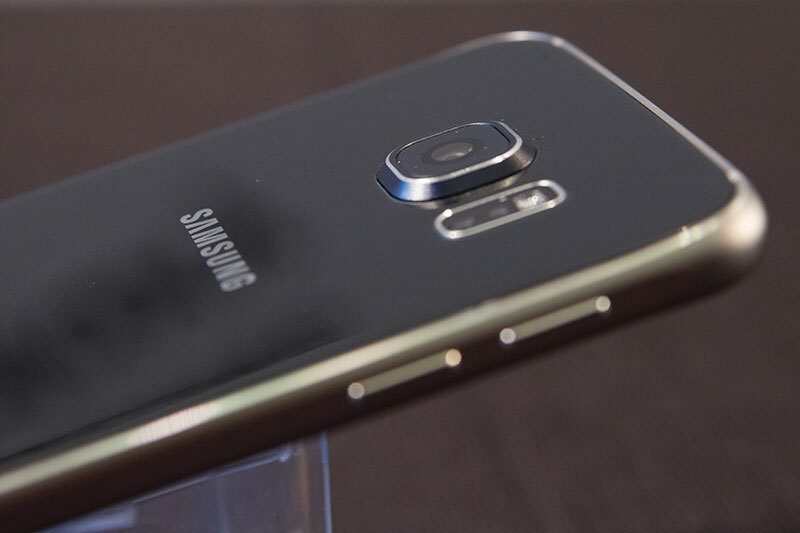 The S6 will be offered in four color options: black, blue, gold, and white. The S6 edge doesn't come in blue, though it does come in green. Pricing isn't available at the moment.